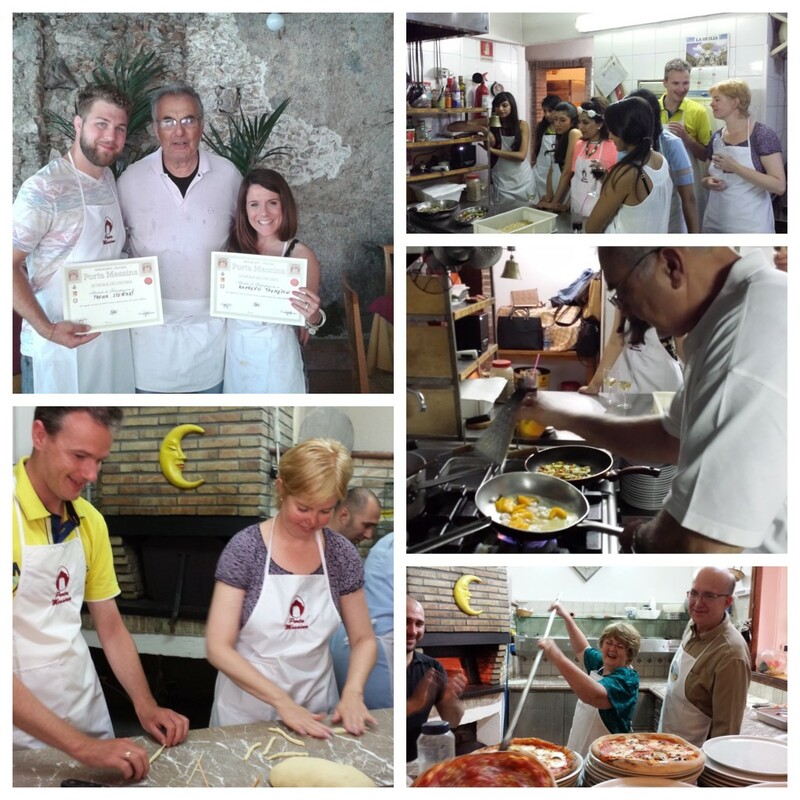 Want to learn how to cook Sicilian dishes ? 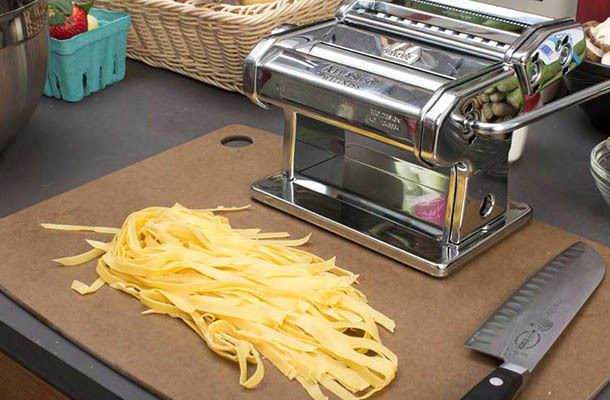 We did not only learn how to make the best pizza in the world, delicious bread, but also fresh pasta in only a few minutes ! We did so many food and Pizza that we had to take away some of it. 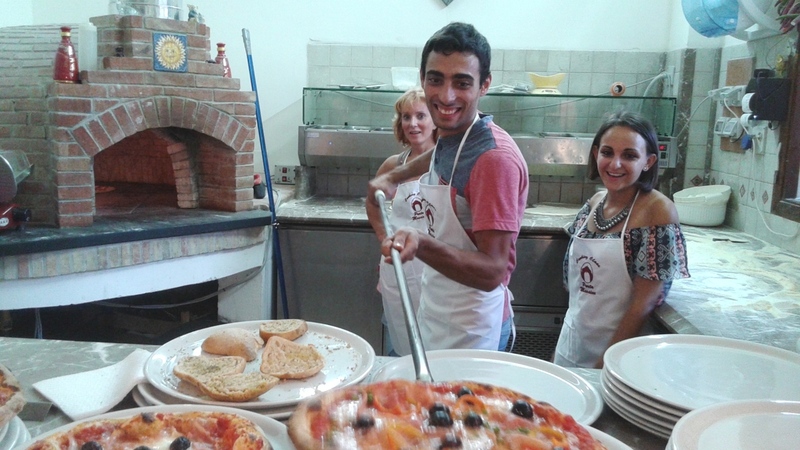 The Ristorante “Porta Messina”, the whole staff and the pizza course are highly recommended. 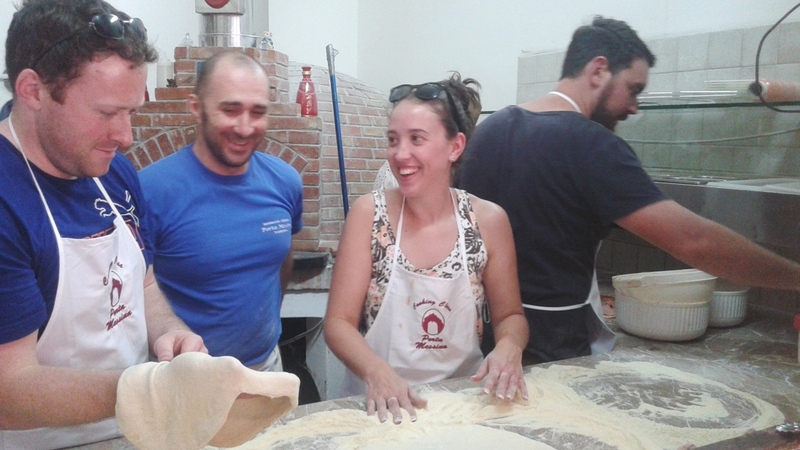 When visiting Taormina, you should make the pizza class definitely, otherwise you will miss something great !! The Place to eat and learn to cook Italian. We stopped for lunch and scheduled their cooking class as the sign out front invited. 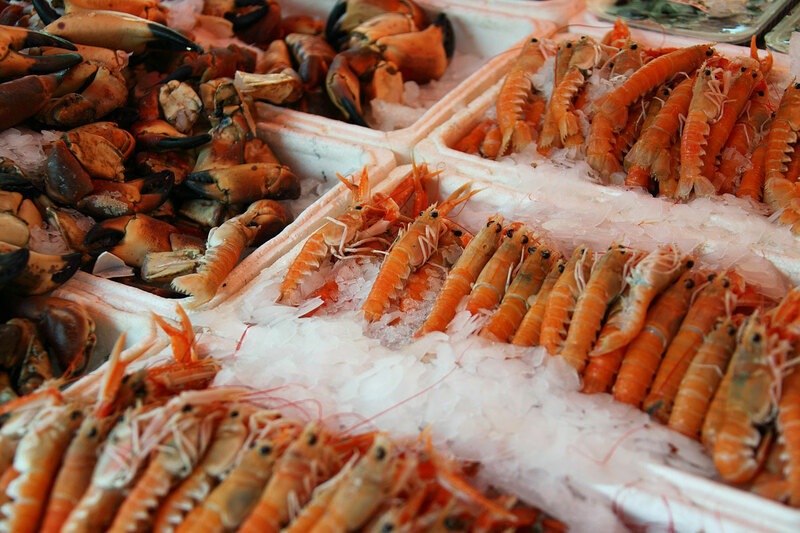 Stefano led the way to a communal market and explained the source and kinds of their fresh fish and produce. It was fun and enlightening. Back at the restaurant, we took a coffee and biscotti break along with fresh fruit from the market. 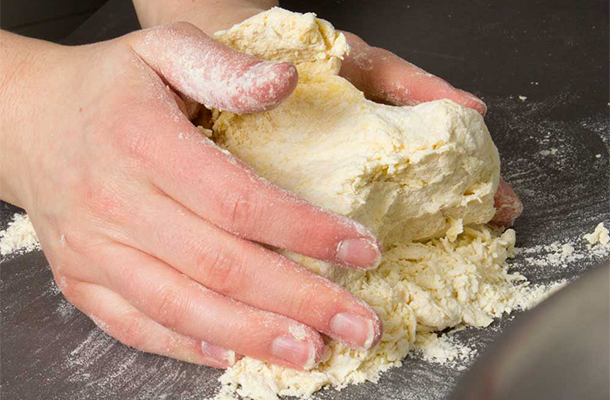 It was then time to work…rolling bread, pizza, and pasta dough. The 2 1/2 hours flew by, and before we knew it we were eating what we made, and more! It was a memorable experience for both my husband and myself. And who knows, we may even make some home made Sicilian fod when we return to the US. If you have the time, you’ll love this. My husband and I joined 4 others for this cooking class with Stefano. We’d booked on line and we’re not sure where the restaurant was. We had an absolutely brilliant time starting with a visit to the local market, then coffee and fruit before starting cooking a range of dishes under Stefano ‘s expert supervision and guidance from other restaurant staff. We tried our hand at rolling swordfish, making pizzas, fresh pasta, aubergines and mozzarella. Then we sat down to eat our feast with wine. it was an enormous amount but he packaged it up for us all to take away. if you’re thinking about going just book it as you definitely won’t be disappointed. And you get your apron and a certificate! Great value for money. © 2019 Cooking Class Taormina. All Rights Reserved.